In this world, is there any magic words to get money? On this, I will say with confidence, yes, there are lots of magic words to get money. But for this, you must faith on these words. You also faith that these words will work like healing your financial problems. Before telling magic words, I want to make understand that God has made our tongue. In this world, all are earning by using of words. Teacher teaches but how? He uses his teaching words for teaching the students. For this, he gets money. CA audits the accounts but he also talk with his clients. He has to create confidence in clients that he is best for auditing his company, otherwise other CA will get the contract. So, no one ignore this magic. I am also writing words for getting money. What I write, all will become magic because there is big energy in the words. 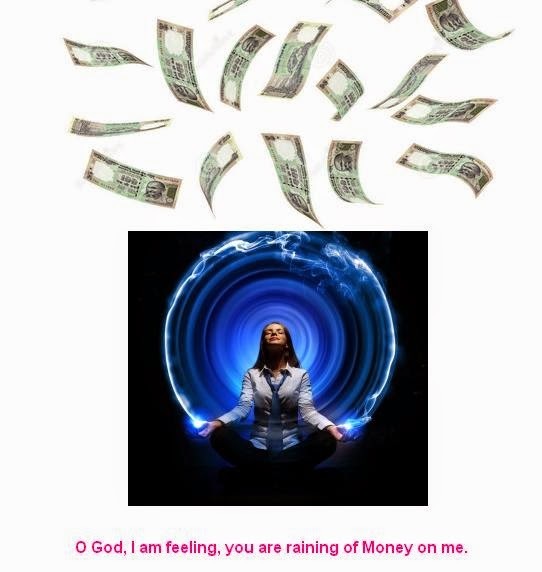 O God, you are the source of all money. When you have given me the birth, you have made me perfect for earning money. It is my weakness, I forget my power. You have given me great power of thinking. I can think to fly in the sky. I can express my thinking. Dear God, give me power to express my thoughts in magic words. It is not doubt my magic words will open the doors of money for me. But, I want not just fake magic words. I want when I pray for helpless, please give him or her support. When I will call for healing of any wound, wound should heal. I have faith on you because you are my father and mother. You love me like a mother. You secure me like a father. I need not get money because I am so hopeful that your given tongue and your given thinking power and your words are enough for me to get money. O God, in My Life, I was so mad. You have given me enough money for my happy life but I could not understand. Today, my internal magic words are coming. These words are saying to me. God has made Sun. This sun gives me light. This light gives me heat and brightness. This is free. If God has not made sun, my Rs. 1 Crore will less for paying one month bill of electricity. O, God, You are giving me billions of Dollars money every month through free supply of electricity through Sun and still I am saying, you are not giving me the money. I am so fool. Yes, I am so fool. Now, I have only words of thanks God. These days, I am in the service of my mother. She is patient of blood blockage in hand and foot. In scientific way, doctor recommends to cut the hand and foot, if there is blood blockage. But still with hope, I am treating my mother through hyperbaric oxygen therapy. My mother is taking 100% pure oxygen after paying Rs. 1500 per hour. Still, I paid Rs. 15000 for 10 hours oxygen. My mother has to take next 10 hours pure oxygen for breaking blood blockage. For this, I have to pay more Rs. 15000. O, dear God, you are supplying 100% pure oxygen from billions of years without taking any fees. Every hour, you are giving me Rs. 1500 in the form of pure oxygen. For this, you are not taking any money from me. For this, I am just saying, thanks dear God billions times. In this world, is there any magic words to get money? On this, I will say with confidence, yes, there are lots of magic words to get money. But for this, you must faith on these words. You also faith that these words will work like healing your financial problems. Here is the list of 3 magic words to get money.